Juergen Doerr’s career has spanned across many countries and cultures, having lived and worked for some of the world’s most luxurious properties in Germany, Malaysia, Philippines, Singapore, Thailand, Taiwan and Indonesia (to name but a few). Oman Magazine’s Editor visits the property for a pot of Earl-Grey tea and a candid chat about Doerr’s perception of Oman, life as a worldwide-traveller and what’s in store for the stunning properties of The Shangri-La Barr Al Jissah. How is life treating you in Oman? Having arrived here from Indonesia, the home country of my wife, it’s been a very pleasant surprise. The people here are so open, friendly and hospitable; they tend to embrace you as their own. We have visited historical forts, rustic villages and explored the nature by bicycle as a family. It’s a wonderful place to discover. As a sportsman yourself, what activities can you recommend to people visiting Oman? Well there are many options. You can go mountain biking, enjoy fantastic water-sports activities or try your hand at rock climbing. My sons enjoy scuba diving; the weather doesn’t really stop us and you often find a good breeze out on the waters, even during summer. I personally enjoy the winding roads with a group of cyclists; they’re all very friendly and are cautious when biking. There’s definitely a lot to do sports-wise with Oman’s vast landscapes and nature. What sets Shangri-La aside from other premium hotels in the Gulf? The values of the Shangri-La brand are very present worldwide. The staff demonstrate humility, honesty and taking care of each other. It’s an entirely unique proposition and originates from the Asian-roots of the brand. Here in Oman it is very much the same. Taking care of one another and taking care of our guests. So, onto your new role. What are your immediate plans for the repositioning of Shangri-La Barr Al Jissah’s luxury property, Al Husn? We started the repositioning of the property two months ago and will be re-launching Al Husn with an improved identity and offering. There will be a host of new services and experience-driven initiatives for the hotel. From concierge facilities to dining, comfort to personalisation, there are some wonderful touches being brought to the forefront of the brand. We will be launching the luxurious Shangri-La Al Husn Resort & Spa as a private standalone resort in October 2017. What’s in store for after summer? We have a very exciting Asian street food concept being launched with flavours of Malaysia and the South-East; simple food done very well, with incredible ingredients. Something authentic. 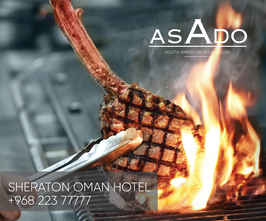 We hope it will be a welcome addition to Muscat’s food scene for local residents and our international guests. We also look to bring flavoursome South American cuisine back into fold at Samba, with a brand-new chef on board preparing the menus. It’s a very exciting time in Food & Beverage for us; lots of new updates to be released very soon. The palatial Al Husn – which means castle in Arabic – features 180 rooms and suites and was previously marketed as part of the adjacent Shangri-La Barr Al Jissah Resort & Spa, an integrated destination resort comprised of the family and leisure-focused Al Waha and Al Bandar hotels. Perched on a cliff overlooking the Gulf of Oman against the dramatic backdrop of rugged mountains, Shangri-La Al Husn has catered to discerning travellers for over a decade and set the standard for luxury in Muscat. Following a rejuvenation, Shangri-La Al Husn will showcase a refreshed new look in key locations throughout the resort and will offer enhanced guest experiences and revitalised dining offerings. The resort will introduce a team of Shangri-La specialists dedicated to personalising and enhancing the guest experience. These specialists will be available to custom-design activities – from pre-arrival throughout the duration of a stay – that cater to different interests and embrace the rich local culture. Innovative enhancements across the hotel’s dining venues are integral to its re-launch, and its venues will be accessible only to guests of Shangri-La Al Husn Resort & Spa. 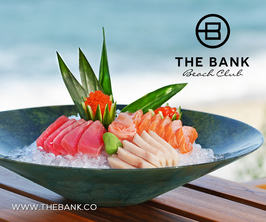 Newly improved options will include a revamped beach grill serving fresh seafood from the Gulf of Oman and spectacular private “Dine By Design” experiences that range from dining on cliffs overlooking the ocean to romantic beachfront settings. A pool café featuring locally sourced and organic menu elements is aimed at the health and socially conscious. Upgraded wellness facilities and services include the installation of a luxury branded boutique spa and a dedicated fitness centre. The fitness centre is specifically designed to meet the needs of the hotel’s target market with state-of-the-art fitness equipment. The resort’s private 100-metre beach will showcase new levels of comfort, more seclusion, and improved seating options with a range of daybeds, cabanas and privacy lounges. To ensure a more relaxed vibe and tranquil ambience, the hotel will maintain its children’s policy, which encourages adults and guests over the age of 16. In particular, privacy and serenity will prevail at the resort’s exclusive private beach and iconic infinity pool, which will be reserved for the use of Al Husn guests only. Supporting the experiential upgrades, guests will continue to enjoy the privileged five-star luxury amenities and exclusive benefits that the hotel is renowned for, including private butler service, daily afternoon tea, pre-dinner cocktails, pre-loaded iPods with personalised music selection, and complimentary beverages from the in-room mini bar. Guests of Shangri-La Al Husn will also have access to the extensive range of offerings at Shangri-La Barr Al Jissah Resort & Spa.